Simple, mobile and easy to use. Our 3 cube skip is delivered straight to you with pickup arranged for when you finish. If you aren’t sure if your waste is safe for disposal or not, give us a call and we’ll be happy to help you out. General waste – furniture, toys, washing machines, clothes, paper, kitchenware, cardboard etc. Light construction waste – timber, plasterboard etc. Light commercial waste – stationary, fridges, office furniture etc. Light green waste – twigs, grass clippings, shrubbery etc. Hard, heavy materials – bricks, sand, clay, concrete, tiles, tyres etc. Heavy green waste – soil, soil with turf attached, tree trunks, roots etc. Hazardous materials – asbestos, insulation, liquids, empty chemical containers, wet paint, food, medical waste etc. 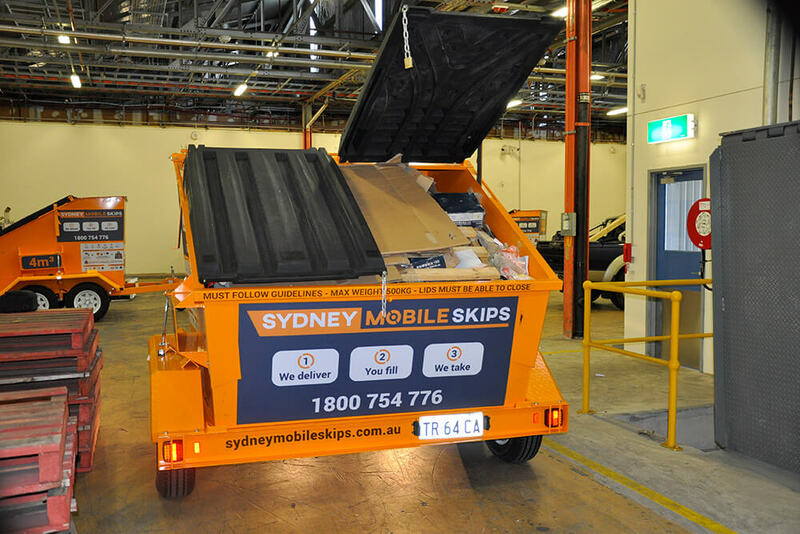 Read through our terms and conditions to ensure you get the most out of our mobile skips.